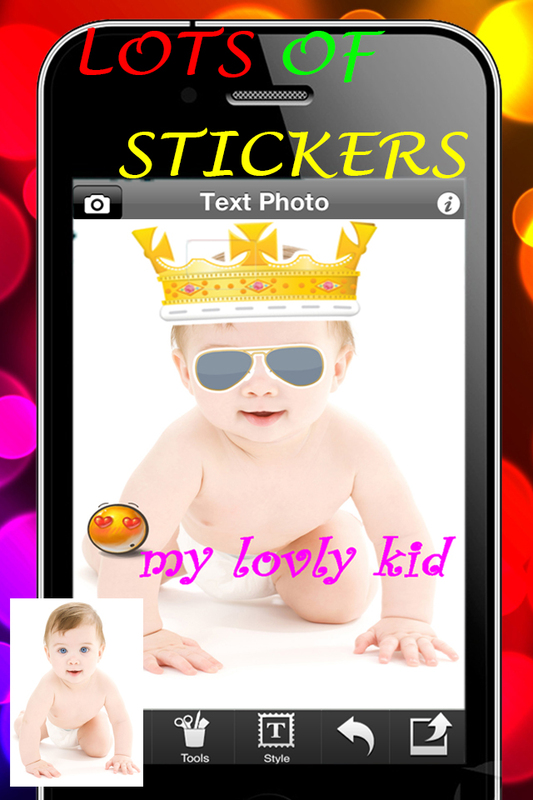 Text Photo is a simple and easy way to label your photos. 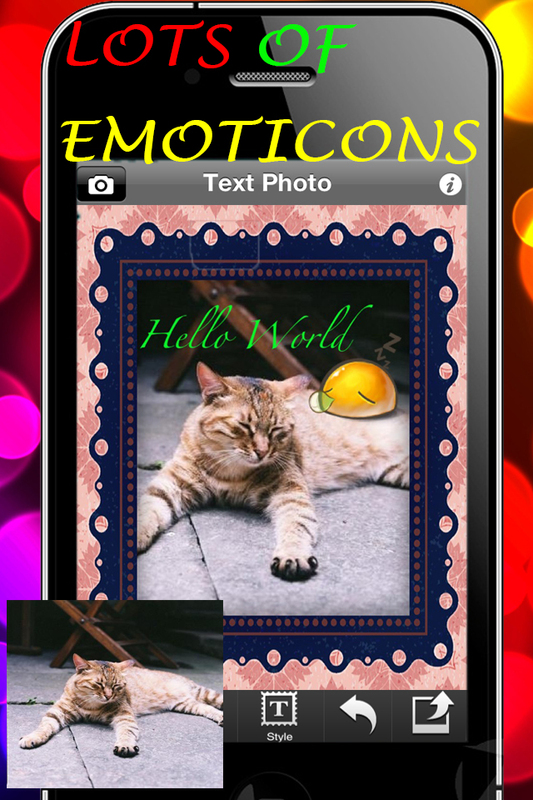 It comes with a list of beautiful and stylish fonts and colors. 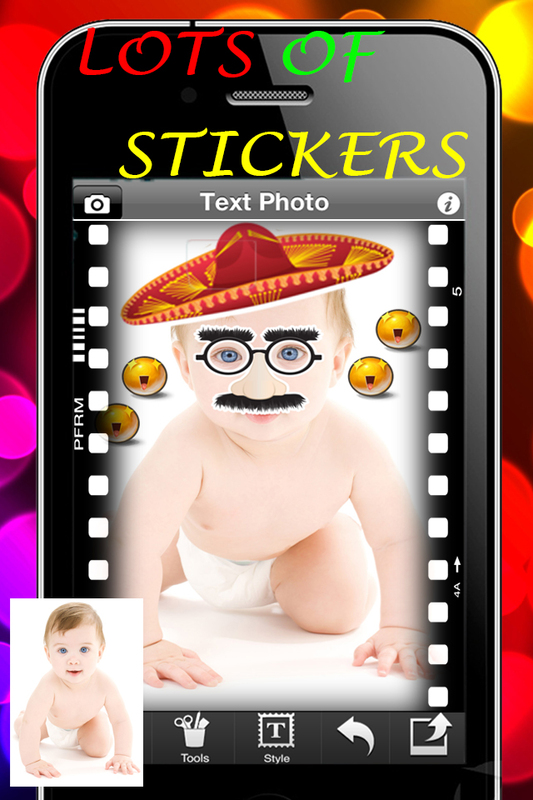 5) Also place stickers and frames on your photo.